The Australasian Journal of Victorian Studies is pleased to announce a Special Issue on ‘Pre-Raphaelitism in Australasia’ to be published in late 2016. 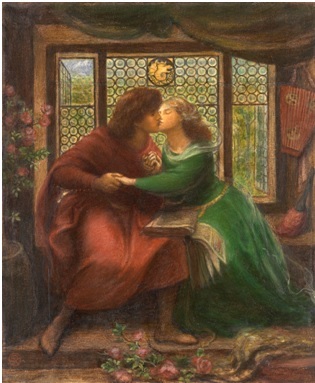 Inspired by Medieval Moderns: The Pre-Raphaelite Brotherhood Exhibition and Symposium at the National Gallery of Victoria in July 2015, this Special Issue invites papers from both the Symposium and others conducting research in this field. Australasian collections of Pre-Raphaelite works are now recognised by the wider international community as integral to the understanding of the movement. The NGV’s rich holdings are especially renowned as they include many important works by Edward Burne-Jones, William Holman Hunt, Ford Madox Brown, Dante Gabriel Rossetti, John Everett Millais and others. In addition to important holdings of major British Pre-Raphaelite works, there is an increasingly well-documented body of Australasian artists and writers who knew, worked with and were inspired by the Pre-Raphaelites. Publication of new work in this field will enhance understandings of how the concepts, techniques and ideals of Pre-Raphaelitism were interpreted and developed in the colonies. To that end, we invite papers exploring the visual culture, literary, or historical aspects of Pre-Raphaelitism or the related Arts and Crafts movement in Australasia. Papers should be 5-7,000 words in length, and we strongly encourage illustrations, although authors will need to arrange permissions themselves and provide documentation to the editors. The special issue is being guest-edited by Alison Inglis and Nancy Langham-Hooper together with AJVS editor Meg Tasker, and will be published on the open-access Online Journal System hosted by Sydney e-Scholarships Publishing. http://openjournals.library.usyd.edu.au/index.php/AJVS.